In October 1893, David and some neighbors had an adventure with a bear in the area, as reported in a local newspaper. David married Hannah Elizabeth Langlois on May 30, 1900. The Marriage license, dated May 29, gives her name as Lizzie, though the marriage record, dated May 30, has her name Hannah E. Langlois. 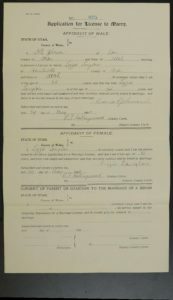 Marriage License of David Johnson and Lizzie Langlois. The License is dated May 29 and the Marriage was May 30. Hannah Elizabeth was born February 10, 1876, the daughter of George Langlois and Mary Ohlsson. Her father was born on the Isle of Jersey and her mother in Sweden. David and Lizzie lived in Eden for most of their marriage. They were on the 1900 Census of Eden with her brother David Langlois and his wife and baby daughter living with them. David was listed as a farmer with no occupation listed for Elizabeth. Her brother David was listed as being a school teacher. According to her death certificate, Lizzie worked as a school teacher. David sold his property in Eden in 1904 and they moved to Ogden. Elizabeth and David were living at 2116 Jefferson Ave. in Ogden when she died. She passed away April 8, 1906 from tuberculosis. I have found no record that they had any children. David was left a young widower. 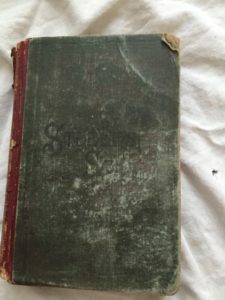 The 1908 Polk Directory of Ogden, Utah showed that he was still living at 2116 Jefferson, though he worked at a Meat Market at 1802 Washington Ave.
By 1917, David was living in West Ogden at 2372 E. Ave. This is the address listed on his World War I Draft Registration card. He was then 43 years old and gave his occupation as carpenter. This document also indicated that he had “disabled legs”. In the 1920 Polk Directory he was still listed at that address on E. Ave. with occupation carpenter. David moved to Kanesville, in western Weber County, where he had a farm. He had disputes with neighbors over water rights. On May 19, 1936, there was a shooting incident. David was shot in the head and he shot John Kap in the chest. Both were taken to the hospital. Kap passed away a few days later and David was charged with murder. His trial took place over a few days in July of 1936. David asserted that he acted in self defense and took the stand to testify. A jury found him guilty of second degree murder. He received a life sentence. David was sent to the Utah State Penitentiary where he remained for the rest of his life. He was first sent to the prison in Sugar House. Later a new prison was built at Point of the Mountain in Draper. 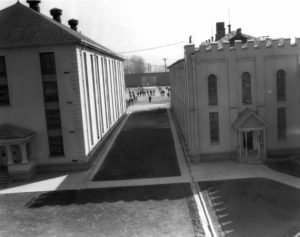 In 1951 prisoners, including David were moved to the new facility. Utah State Penitentiary in Sugar House. This photo was taken 4 March 1936, just months before David was sent there. In a newspaper article relating his death, the Warden, John Turner, indicated that Dave was a model prisoner. 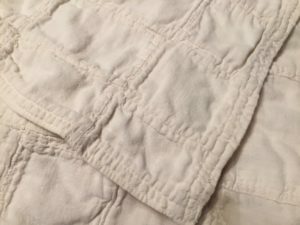 He said, “He went about his own business and never caused a bit of trouble here.” The Warden also said that David was sent to the American Fork Training School and later to the Utah State Hospital for some time. He said, “He came back both times because he liked it better here.” The Warden also said that to his knowledge David had never been up for parole, however I have found newspaper articles that indicate that he was. Parole was denied each time. 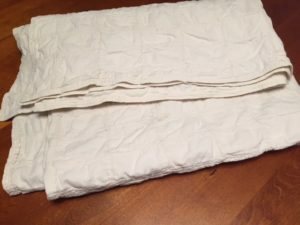 While in prison David made a blanket from Bull Durham tobacco pouch sacks. The inmates apparently got tobacco and papers in these pouches and rolled their own cigarettes. David wrote many petitions and appeals. He apparently knew enough to create documents which appeared to be official, however the content is rather confusing. He directed these to a variety of places – the State of Utah, The United States Supreme Court, Congress, and leaders of the L. D. S. Church. He seemed intent on telling his side of the story. He felt that he had acted in self-defense and his rights were violated. There is one letter indicating that the Supreme Court refused to address his petition, but I don’t know if all of these petitions were actually sent or what happened with them. They obviously did not change his life sentence. A few months before his death, David became ill and was sent to Salt Lake General Hospital. He was admitted to the hospital on December 6, 1960. According to a family letter, by January 10 he had been on the critical list for several days and was not responding to any medication. He died in the hospital on January 23, 1961. Causes of death listed on his Death Certificate were Congestive heart failure, due to subacute bacterial endocarditis due to lymphosarcoma. 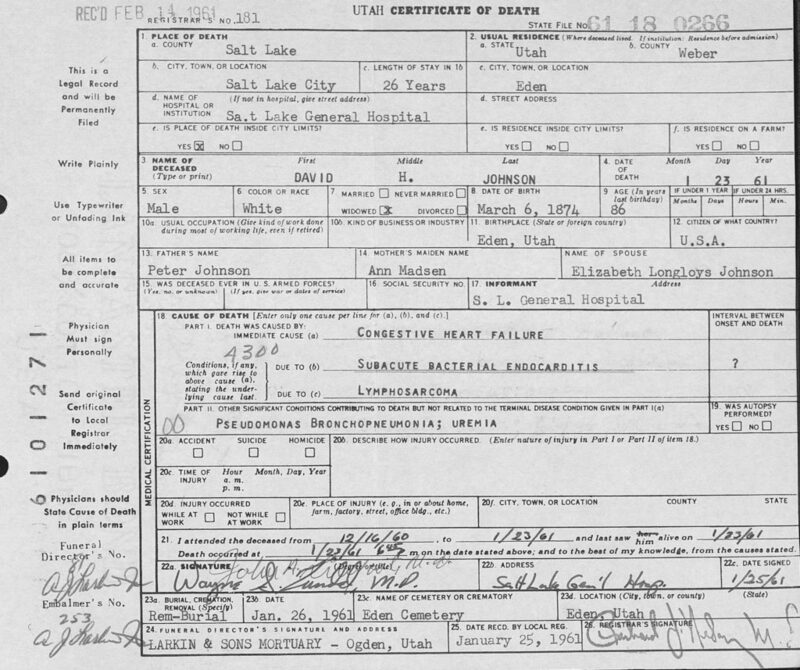 The State of Utah would have sent David’s remains to the University Medical School, had not the family made other arrangements. His nephew, Joseph Eggleston, made funeral arrangements and a service was held. 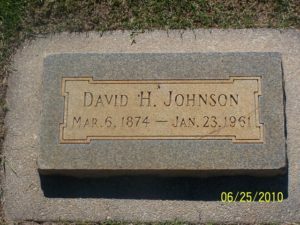 David was buried in the Eden Meadow View Cemetery next to his parents. He left a very small insurance policy. Joseph Eggleston was the beneficiary. This account was adapted from what is in my book, The Joseph Eggleston Family, p. 531-532. 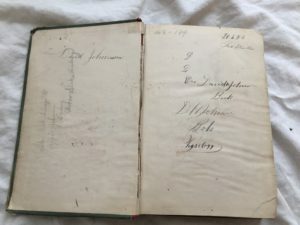 As I was writing this post and studying more about the murder charges and appeals, I decided that I would relate that in more detail at a later time in another blog post – so watch for it. 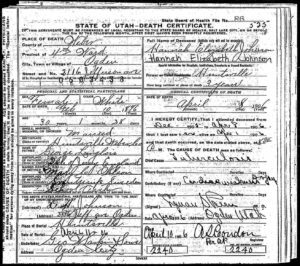 This entry was posted in Biographies, Collateral Lines, Family heirlooms and tagged Johnson, Utah. Bookmark the permalink.